It's been nearly a decade since Augustus Pablo’s premature death at age 46, yet he remains (and ever shall remain) one of the most iconic and mysterious figures in reggae and in all of music. An accomplished keyboardist from a young age, he created a signature sound through his frequent use of the melodica, a hand-held keyboard wind instrument with an often somber tone. The melodica was regarded as little more than a toy until Pablo (born Horace Swaby) got hold of it, and if that had been his sole contribution to reggae music, it would have been enough. There’s far more to Pablo’s story, though. Because he was a quiet sort who didn’t tour very often and was content to let his music do the talking, it’s difficult to get a handle on all he accomplished. Even if (like me) you have a fair number of his albums and a pretty good idea of what Pablo was all about, this 4-CD, 1-DVD set is brimming with ear-and-eye-opening revelations. Included are dub and instrumental tracks that Pablo’s melodica playing blessed with the minor key “Far East” feel that became his trademark: sad and sweet, with a quality that seemed equal parts Old Testament soundtrack and present day call to herbal meditation. A master of all keyboards as well as unexpected instruments like the xylophone, Pablo gave his pieces an ethereal tone that makes the “Mystic” in the title of this collection well-deserved. Indeed, his instrumentals were so distinctive that his impact as a producer of vocal talents is sometimes overlooked. But not here. Pablo-produced songs by such greats as Hugh Mundell and Jacob Miller (both sadly deceased) are prominent along with an array ranging from harmony groups (the Heptones, Tetrack) and roots singers (Johnny Osborne, Junior Delgado, Earl Sixteen, Delroy Williams, Willi Williams) to up-and-comers whom Pablo helped to nurture and promote and who often did their only recorded work under his tutelage (Asher & Trimble, Sister Frica, Paul Blackman). The vocal tracks frequently provide source clarification for the dubs, the selection includes both expected and unexpected gems and the sheer number of rarities makes this set a must. Then there’s the DVD, a brief but engrossing look at live performances from Pablo’s Japanese tours along with some 1979 footage of Pablo in the Jamaican countryside, playing guitar as Hugh Mundell sings and later answering a few interview questions. Naturally, a release of this magnitude requires extensive liner notes, and this one’s got ‘em, in a booklet packed with track information and biographical musings by numerous professional and personal associates of Pablo’s, including his wife and children (who knew?). 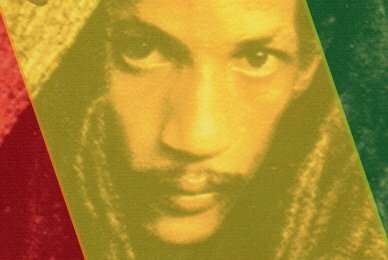 The Mystic World of Augustus Pablo: The Rockers Story is a richly intricate and musically far-reaching tribute to a truly peerless figure. Under no circumstances should any reggae fan pass it by.